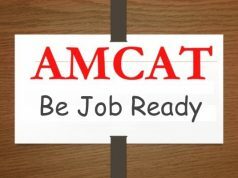 Gift yourself a job today, with the AMCAT Test. You must have heard a lot about the AMCAT Test. What it is, how you can take it and what are the benefits. Quora is full of questions about AMCAT, and we are happy to address them, one at a time. Let us start by revisiting the AMCAT Test in brief. The AMCAT Test is a computer adaptive test. It measures and judges job applicants on the basis of their skills and how well they perform in areas like logical reasoning, language and communication and quantitative analysis. Apart from these, there is a fourth section, which is the domain specific test and differs according to the choices of the person. Once you are done with the test, your result is evaluated and you receive a certificate stating your percentile and marks scored. A whole section, addressing your strengths and weaknesses is also provided. The objective is to help you understand your own self better and work on your skills to find the right job. 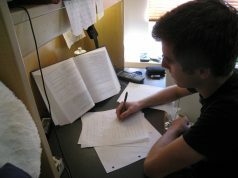 The AMCAT Test opens new avenues for students, especially those who do not belong to big colleges or have not done very well in their semester exams. It pitches a whole lot of people together and actually tells you and the recruiters where to stand. That means, everyone gets an equal chance, irrespective of college, state or degree marks, to find new job opportunities. Since AMCAT evaluates your personality traits along with your domain skills, it becomes easier for the recruiters to identify the right candidate. What is the purpose for you having a LinkedIn profile in the first place? You are on LinkedIn to connect with recruiters, find the right job, make your mark. Isn’t that so? AMCAT certificate just aides you in that. It highlights your key skills and brings you in the notice of the recruiters (especially if you have scored well). AMCAT Test is used as the first step of evaluation by many leading companies, and by telling them that you have already taken the test you are a) projecting yourself as a serious contender, b) ruling out a whole step and giving them the chance to evaluate you directly. If you are still not convinced, then hear the story of the AMCAT achievers, as they narrate their success story. Once done, you can click on the AMCAT home page and schedule a test at the earliest to make the most of the jobs posted both on LikedIn and the AMCAT jobs portal.